AeroBrick – Autoclaved Aerated Concrete (AAC) – is a lightweight brick (measuring 600mm x 200mm x 75mm) incombustible building material that, when laid like conventional brick or block, simultaneously provides structure, as well as additional improvements in thermal efficiency and acoustic performance. Weighing up to 70% less than traditional bricks, the AeroBrick system is a quick to install, cost-effective, alternative to traditional brick veneer. Installed over a 40-75mm drainage cavity, the reduced weight of the AeroBrick system allows it to be installed to greater heights without additional engineered footings and cost prohibitive structural steel reinforcing. The system has been extensively tested and appraised by BRANZ to provide the very best junction design solutions for most types of composite building materials available in New Zealand today. 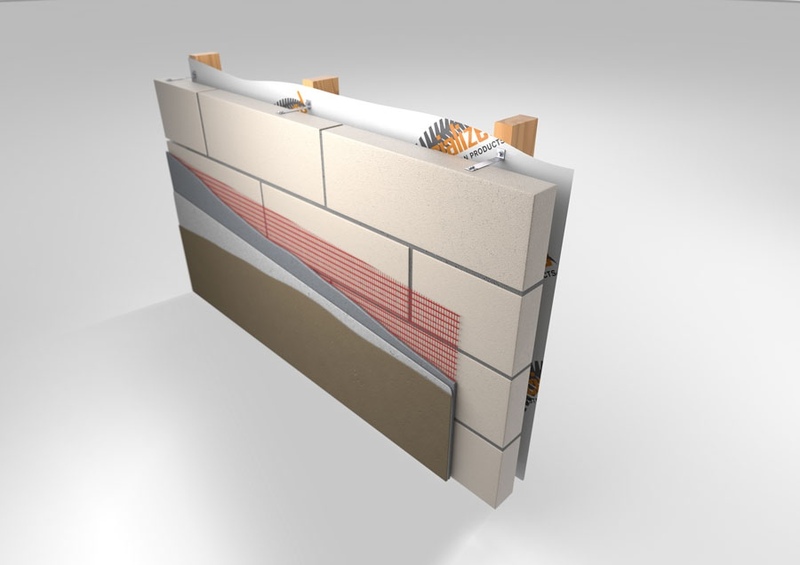 The AeroBrick system will appeal to any client/end user who desires the more robust and solid nature of traditional plastered brick veneer, yet seeks the optimal protection and peace of mind offered by the controlled installation of a guaranteed, proprietary lighter weight alternative.